I'm starting this topic to post the current updates to EA Studio. New Version of EA Studio is uploaded. 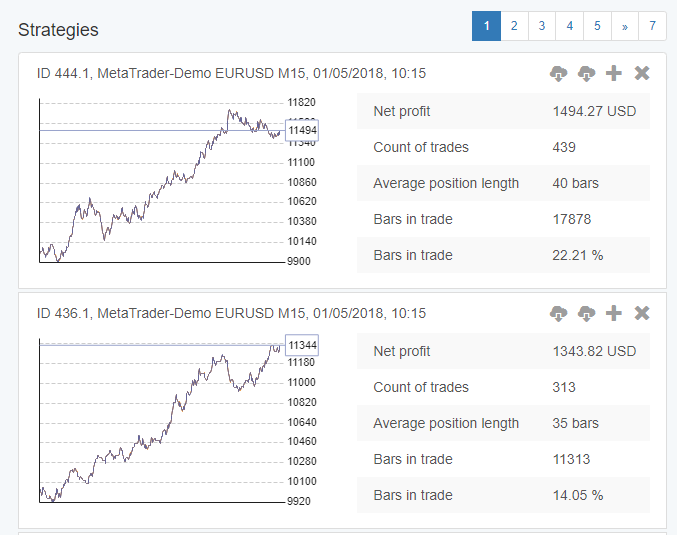 It shows the trading times correctly by considering the users time zone. Now you have the same deals time in the MT testing journal and in the EA Studio journal no matter of your local time zone. EA Studio has Italian translation. The app was translated by Diego Zancoli and Claudio Zanoni. Great updates. I just subscribed to this, so I don't miss anymore announcements. 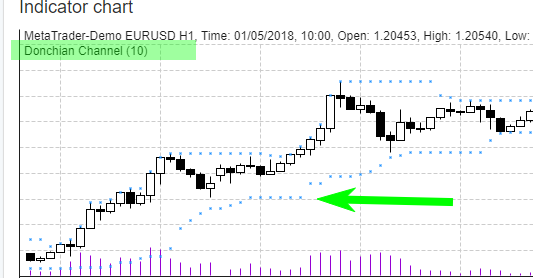 Added possibility to draw indicators as dots and as dashed lines in the main indicator chart. Added "Donchian Channel" indicator. Please test it carefully. 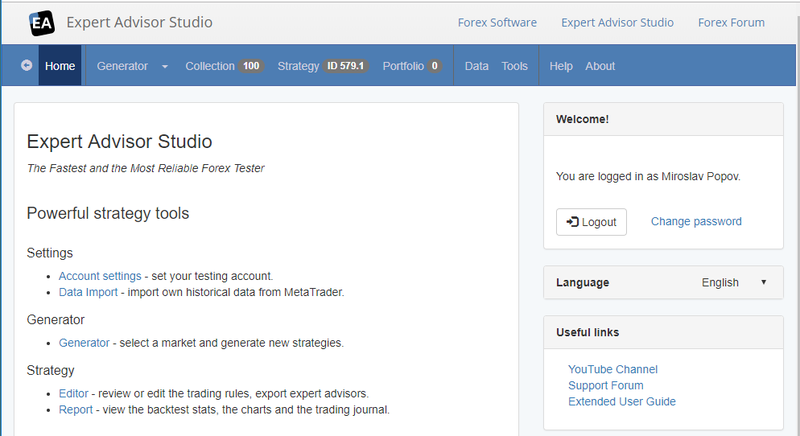 Exporting Portfolio Experts is enabled only for active users. EA Studio has Spanish translation! The translation is contributed by Juan David Corrales - professor at the Universidad Militar Nueva Granada in Colombia. Balance Line Stability metric is added. 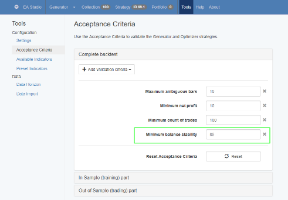 It can work as a Sorting parameter in the Collection and as an Acceptance Criteria. You can find the new options in the left bottom part of the Settings page. New version of EA Studio is uploaded. Stagnation in days - it shows ... the stagnation in days of course. Both parameters are available as Acceptance Criteria. Really, really great updates, by using stagnation in days, I don't need to update the stagnation value everytime the bar number is increasing. 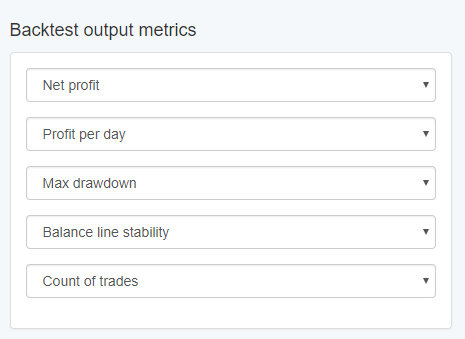 And I just realized how convenient the backtest metric output is, I don't need to click each strategy to see other stats. 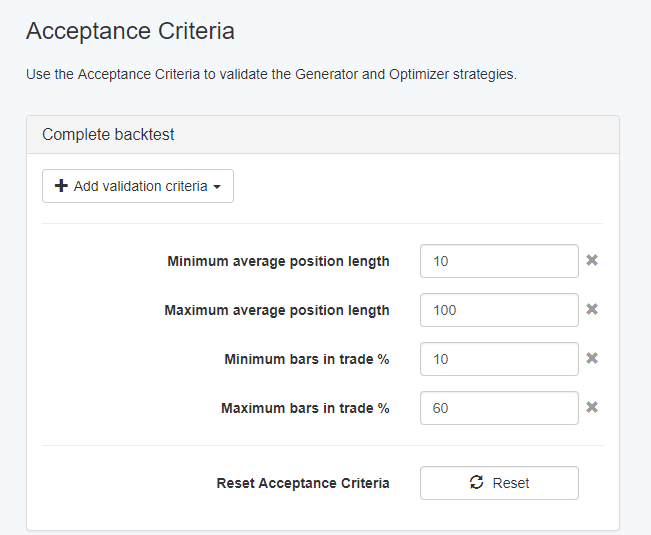 The new params are available also as Acceptance Criteria. These conditions may help to prevent strategies that trades on "random" events or that explore long trends. The new params set to be shown in the Backtest output. Please post ideas, feedback and bug reports. i have an idea for now we can set up to 5 values shown on right at eastudio. Why not use also a small button or something mouseover. When i go with mouse on Details Buttons for example than show all other informations also as a tooltip. Ι think a good idea is to have different Acceptance Criteria for generator settings and Optimization settings when they used. The speed can be better etc. ps I cannot see the new params set to be shown in the Backtest output. You can set your favorite params in the Settings page. You are right. I also think for something like that, but I want to keep the UI as smooth and simple as possible. You must reload EA Studio because the page files are relocated on the server and the navigation bar must be updated. - The first button in the nav bar is named 'Home" now. It was previously "EA Studio". This change allows us to make screenshots and videos that will not contradict with the partners brands. - The language menu is moved to the home page. This frees space on the navigation bar. It is useful for languages with longer words like Bulgarian and Russian. - The Data Import and Data Horizon pages have own button on the nav bar. It makes it possible to reach the Data Import page with one click now. I hope you will find the new design more concise. It also gives us opportunity to further improve the Data import workflow and the user experience. You can use it for a search target in the Generator, the Reactor and the Optimizer. 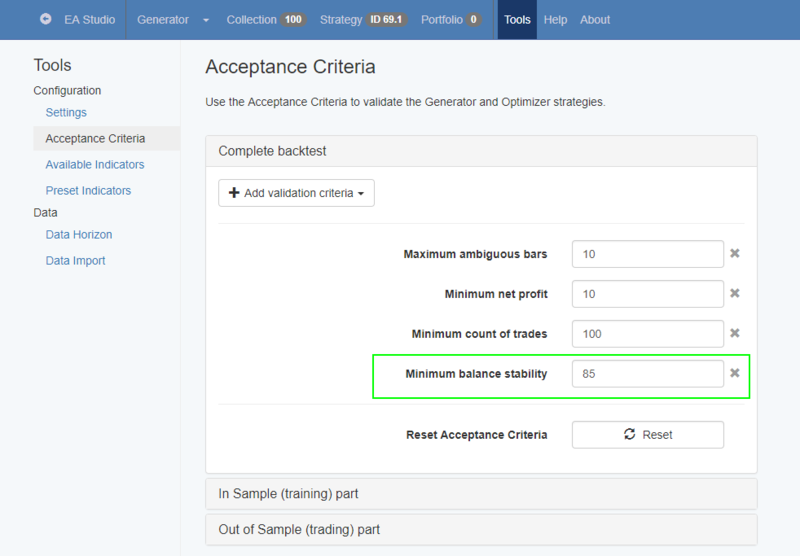 It is also available as an Acceptance Criteria and the Collection sorting and filtering. If you want, you can make it visible on the Backtest output from Tools - Settings. Here is a possible usage as filtering. 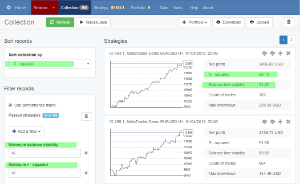 The shown strategies are produced by the Reactor with turned Optimization on and set to optimize for best R- squared. - Periods of Stochastic and Stochastic Signal indicators can be up to 200. - Temporary enabled data import up to 500 000 bars. (you have to increase the limit in the Data Horizon first). We will see how it works and will decide how to make it permanently. 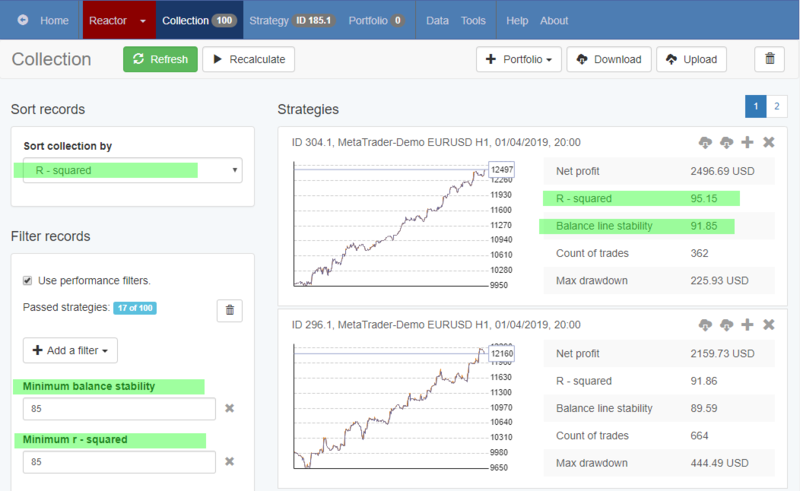 Most probably the setting will be up to 100 000 bars for trial users and up to 500 000 bars fro licensed users. - I started a complete rework of the backend of the user interface. There are no visible changes, but it must make the parameters of update up to 200 times faster and smoother. Now about 25% of the screens are updated. The complete work will take a month. Amazing Mr. Popov, EA Studio is quickly gaining super-power this year with these changes and at this rate, wow :-) Thanks again for the good work and I am very happy that I can now load more data too! 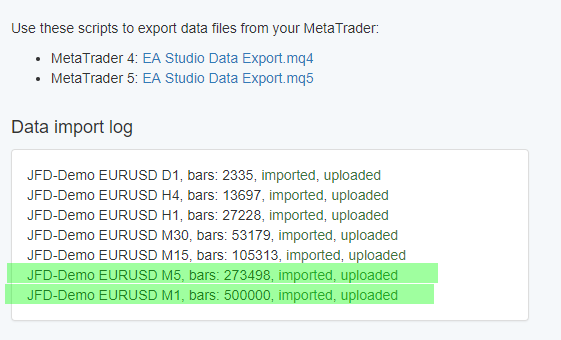 500.000 bars allows me to load all my 32 years of M30 data (~400.000 bars), nice. I´d still say it would be great if you´d make all the parameters configurable and remove the bars limitation for the real "freaks" here, because I´d really also like to try to build on 32 years of M15 data, but those are 800.000 bars :-) It wouldn´t be a problem with Firefox as it has no memory limit per tab like Chrome has (4GB). But as far as I remember, you´ve anyway planned to make all the settings changeable in the backend in the longer run. I'm amazed to see how quick you deal with bug fixes and all of the updates. EA Studio is a masterpiece. Anyway, if you are forced to use IE (for example on a VPN or on a business machine, where you cannot install software) EA Studio must work.